The studio behind the Internet’s favorite form of digital self-flagellation, Dark Souls, is working on a new game exclusive to the PlayStation 4. Sony announced the From Software project at its press briefing conference extravaganza last night. 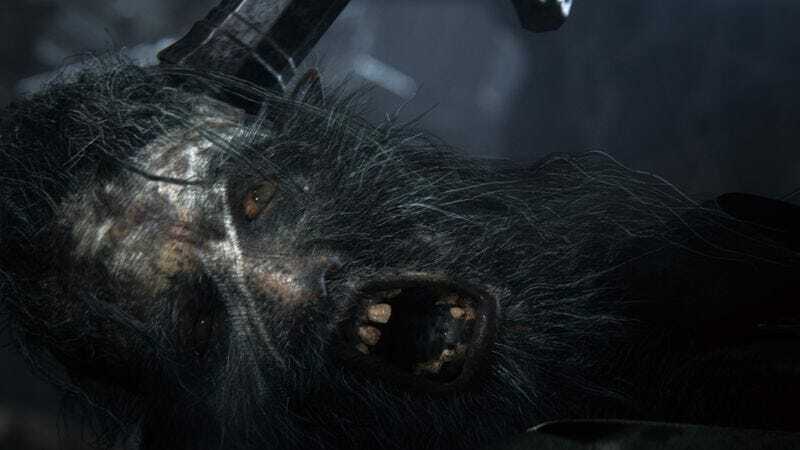 The new project, called Bloodborne, is being directed by Hidetaka Miyazaki, who led From’s efforts on Demon’s Souls and the first Dark Souls. He was notably absent from the development of Dark Souls 2, but he has since become the studio’s president. According to the YouTube description attached to the announcement trailer, in Bloodborne you’ll be exploring an ancient city that has been ravaged by a strange illness. “Danger, death, and madness lurk around every corner of this dark and horrific world.” So there’s an ancient setting that has been cursed by some sort of disease (which judging from the trailer turns people into zombies) and things waiting to kill you around every corner. Yep, that’s a Souls game. The biggest difference between Bloodborne and From’s recent acclaimed work appears to be the time period it’s drawing from. Where the Souls games were inspired by dark medieval gothicism, Bloodborne appears to be more Victorian gothic, even bringing guns into the equation. The announcement would have been the biggest surprise of the night had footage from the game not leaked onto the Internet under the title “Project Beast.” The trailer that premiered last night is a showcase of pre-rendered clips, but the brief leaked video (seen below) shows what looks more like in-game, very Souls-like footage. Bloodborne is currently scheduled for release in—when else—2015.